MISSION ESL COMPUTER LAB: "Exploring the Nile River" from VOA. "Exploring the Nile River" from VOA. I’m Steve Ember. And I’m Faith Lapidus with EXPLORATIONS in VOA Special English. Today we visit the Nile River valley to explore one of the greatest civilizations in human history. The people of ancient Egypt developed the first nation-state, which would set the stage for a culture that would last thousands of years. For centuries, the art, architecture, and traditions of ancient Egypt have captured the attention of historians, writers, and travelers around the world. Join us as we travel down the Nile and back through time. "We shall never enjoy another place like Ipsamboul; the absolute solitude of it - the absence of a present, of any of one’s fellow-creatures … I came out of the [temple] and looked again upon the glorious colossi. I wish all my friends could see them once in their lives, if only for a moment; or that I could describe to anyone the look of intense repose in those faces." Those were the words written by British medical worker Florence Nightingale. She traveled to Egypt in 1849 to explore its many sites. She is describing the temple of Abu Simbel in southern Egypt. Like many European visitors, Miss Nightingale wrote a detailed description of her months of travel through this country. Our own trip down the Nile begins at the temple of Abu Simbel. 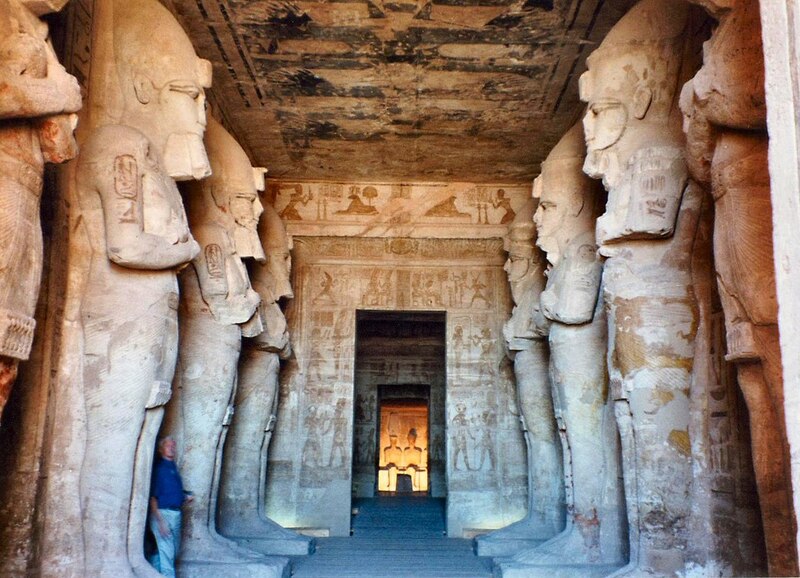 The Egyptian ruler Ramses the Second built this extraordinary temple over 3,200 years ago. The temple is dedicated to the Egyptian gods Ra-Horakhty, Amun and Ptah. But it is really meant to show the power and strength of Ramses the Second who led Egypt for over 60 years. Like other pharaohs, Ramses was considered an earthly representation of a god. 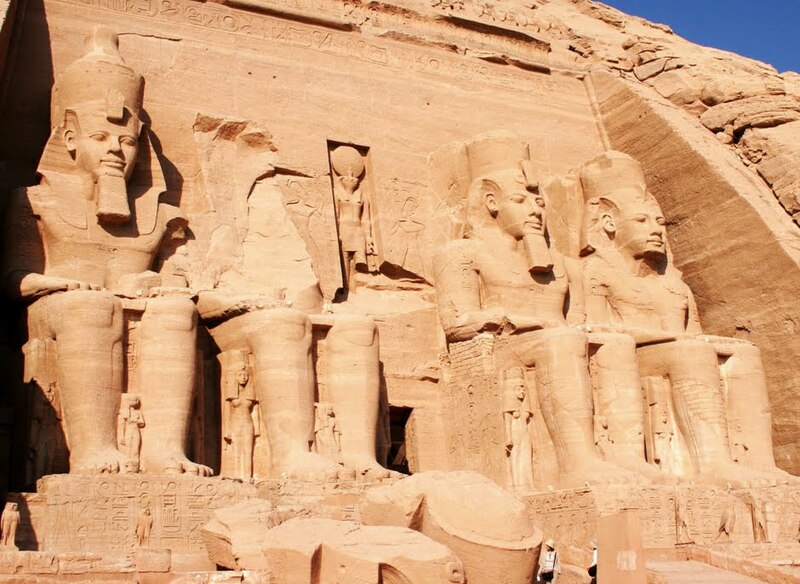 Four 20-meter tall statues of Ramses guard the front of the temple, which is carved into the side of a mountain. Staring up at these huge statues, you suddenly feel very small and impermanent compared to this timeless structure. 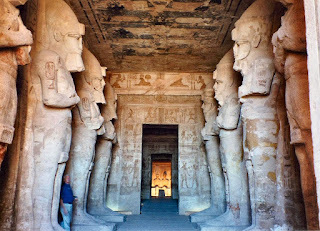 Inside the temple, detailed carvings on the walls show Ramses defeating his enemies in battle. The walls also show examples of hieroglyphics, the form of Egyptian writing that uses pictures. This is the oldest known system of writing in the world. Like many Egyptian temples, Abu Simbel has a first room or hypostyle hall filled with column supports. Next, there is a second hall, followed by a sanctuary. Only religious workers and the pharaoh were permitted to enter this last room. The sanctuary of Abu Simbel contains statues of the temple’s four gods. Next to this building is a smaller temple honoring the wife of Ramses the second, Nefertari. In the 1960s, both temples were moved stone by stone from their original sites and rebuilt 200 meters away. This was done as protection from the rising water of the Nile as a result of the building of the Aswan High Dam. 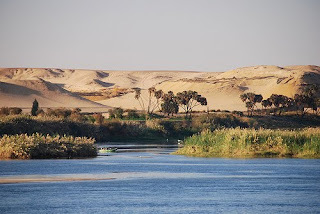 Our trip continues in the town of Aswan where many travelers start their river trip on a boat that is like a hotel. 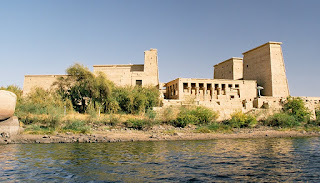 There are many interesting places to visit in Aswan. 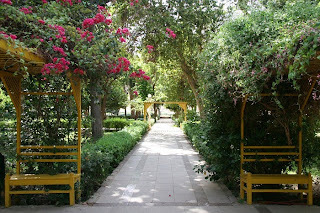 They include the Nubian museum, the Aswan Botanical Gardens and the Old Cataract Hotel. The British mystery writer Agatha Christie wrote part of her book "Death on The Nile" in this hotel. 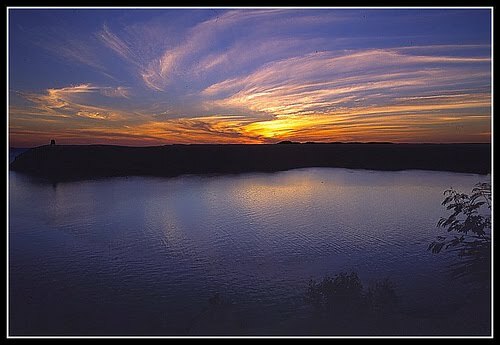 You can also visit the Aswan High Dam and the water it collects in Lake Nasser, the largest man-made lake in the world. The dam was built starting in 1960 under Egyptian President Gamal Abdel Nasser. Its aim was to control the flow of water of the Nile. The dam has greatly increased the amount of farmland in Egypt and supplies the country with hydroelectric power. But the dam has also caused environmental and cultural problems. Our guide, Egypt expert Mohamed Fahmy tells us about the native people most affected by the dam. MOHAMED FAHMY: "The Nubians used to live here. There were 100,000 Nubians living in this place. But after the creation of the lake they had to be displaced. Half of them decided to stay in Aswan. They took the left bank of Aswan to be their new Nubia. The rest of them, they went to Sudan." 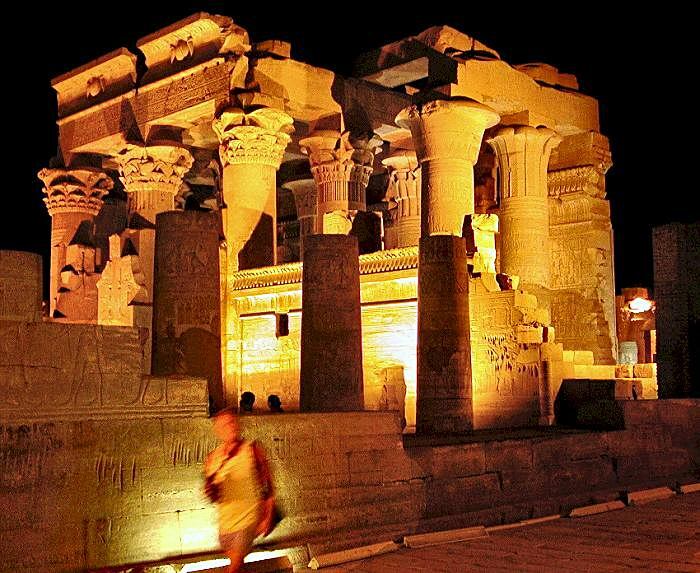 Another popular area near Aswan is the Greco-Roman temple of Philae. Philae is one of many monuments built after the Macedonian warrior Alexander the Great took control of Egypt about 2,300 years ago. One of his generals, Ptolemy, took control of Egypt after Alexander’s death. He established a line of Ptolemaic leaders that ruled for 300 years. 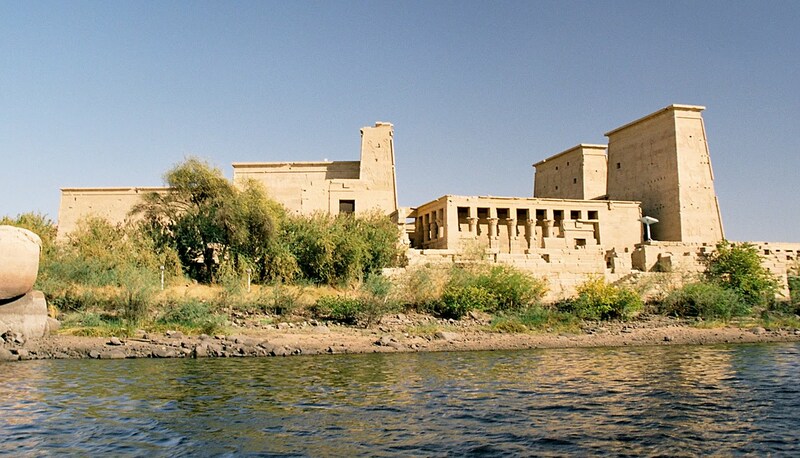 To see Philae, visitors must take a boat to a small island. If you go at night, you can see a sound and light show. During the show, recorded voices of actors give a theatrical history of the temple while it is lit up in bright colors. ACTOR: "Oh Nile, father of life. All hail to you. When your waters rise and your bounty overwhelms us. The earth trembles with ecstasy, life is reborn, all is nurtured. But when you subside, the very gods despair. And men become slighter than their shadows." This temple was built in honor of the goddess Isis over 2,000 years ago. One of the most famous buildings at Philae is the Kiosk of Trajan. It was a favorite subject in paintings by 19th century European travelers. 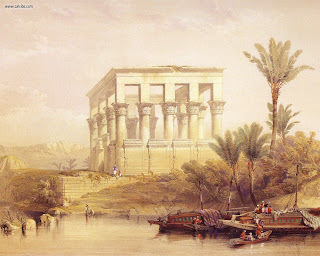 Continuing down the Nile, we arrive at the temple of Kom Ombo. This Ptolemaic temple was built to honor two gods, the crocodile god Sobek and Haroeris. It is unusual because it has double gates and rooms in order to honor both gods. The wall carvings show the traditions and daily life of Egyptians. One wall has detailed carvings of medical tools. Our guide Mohamed Fahmy tells us about them. MOHAMED FAHMY: "Here they depicted some of their medical instruments. Come closer to see it. Most of these, we are still using today. You can see a scissor, you can see a sponge, two stones to sharpen the cutters. And you can see a scale to weigh the materials. You can see two eyes in here. These are the eyes of Horus, symbol of protection." Further north, there is also the Temple of Horus at Edfu. This Ptolemaic temple is one of the most completely preserved temples in Egypt. Now, we sail about 100 kilometers north. This gives us time to enjoy the river scenes along the Nile. From the boat you can see palm trees, children playing in fields and local people rowing small boats. And you can wave to travelers on other hotel boats. Our next stop is the ancient city of Thebes, known today as Luxor. 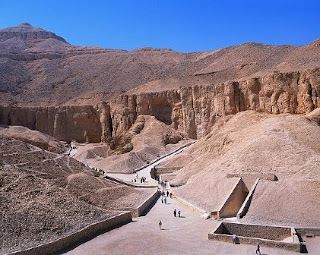 Starting around 3,500 years ago, a series of pharaohs built secret burial structures in the nearby Valley of the Kings. Pharaohs chose to be buried in this rocky area because it was far away from people and easy to protect. These burial structures were more secretive than the large pyramids of earlier pharaohs. Builders of these tombs dug tunnels that led to burial rooms for the ruler’s body and his treasures. These objects and the many paintings on the walls were designed to help the ruler in the next life. Few things were as important to Egyptian rulers as preparing for their death while they were still alive. This meant building complex burial structures that could help guarantee they would live forever in the afterlife. Egyptians developed a detailed method of preserving dead bodies, called mummification. They believed that a body had to be carefully prepared and stored to survive in the afterlife. The most famous tomb in the valley belonged to the pharaoh Tutankhamun. He was not known for his activities as a ruler. Instead, he is famous for the treasures found in his tomb when it was discovered in 1920. Most other tombs in the area were robbed over the centuries. But this one was in perfect condition and has taught experts a great deal about Egyptian funeral traditions. 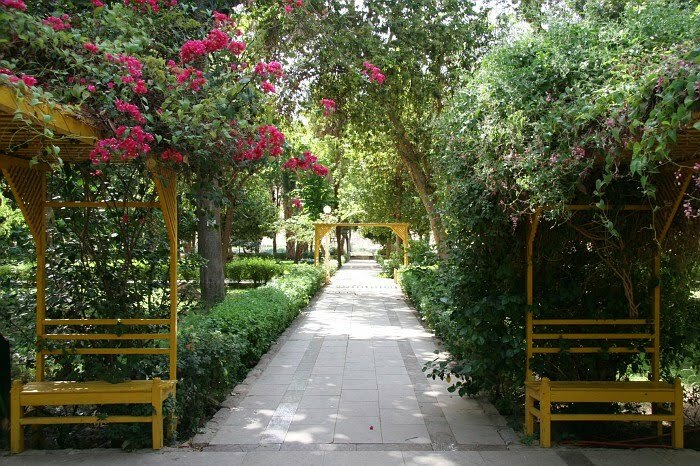 Also nearby is the village of Karnak. It was built to honor the gods of Thebes, a capital of Egypt in ancient times. For over fifteen hundred years different pharaohs built their own additions to the series of buildings at Karnak. The most striking room of the Karnak Temple is the Great Hypostyle Hall, which covers 6,000 square meters. It contains 134 huge stone columns. The columns were once brightly painted and held up a roof covering. The pharaoh Amenhotep built the central area of the nearby temple of Luxor about 3,300 years ago. Other rulers also added to the building. At the entrance to the temple there is a long row of sphinx statues that once measured three kilometers long. These sphinx statues combine the body of a lion with the head of a human. Visiting this place at night is pure magic. 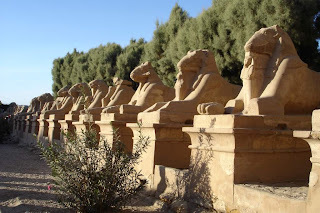 As you walk along the rows of glowing sphinx statues, you feel like you have traveled back through time to a very ancient and extraordinary past. Next week we continue our travels in the modern Egyptian capital of Cairo. This program was written and produced by Dana Demange. I’m Steve Ember. And I’m Faith Lapidus. To see pictures of Egypt, visit our Web site, voaspecialenglish.com. Join us again next week for EXPLORATIONS in VOA Special English. 1. The Egyptian Pharaoh was _____________________ . 2. The four statues guarding the entrance to Abu Simbel were all ________________ . a: Abu Simbel had to be moved higher on the hill. b: The tombs in The Valley of the Kings had to be protected. c: 100,000 Nubians lost their homeland. d: The fertility of nearby farmlands greatly increased. 4. All of the tombs in The Valley of the Kings were disturbed except the tomb of _______ . 5. A medical tool not found on the wall carving at Kom Ombo is __________ . 6. The ancient Egyptians believed that the dead body had to be carefully prepared and stored so that it could __________________ . 7. The 134 stone columms at the Temple of Karnak near Thebes was for the purpose of __________________ . 8. There is a sound and light show at the Greco-Roman Temple at Philae. An Actor speaks to the Nile, calling it the father of life. The lines suggest that ______________ . 9. Another name for this article could be "_______________________ ." The following clip is fascinating history of Egyptian Mythology which played a very important part in the burial customs, the statues, and buildings we just read and heard about from VOA.